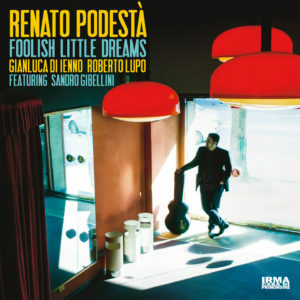 My first record as a leader, “Foolish Little Dreams“, will be released this January on the IRMA records label! It was a labour of love and I’m really proud of it. Of course, I could not have accomplished anything without my musical partners, and I owe them my deepest gratitude: Gianluca Di Ienno, Roberto Lupo and my friend and mentor Sandro Gibellini. Also, I would like to thank Umberto Damiani at Irma Records and Nicolas Gilliet at Nicolasound who helped the record come to life in a tangible way (and will help to spread the word!). Listen to the preview and read more here! Copyright © 2019 Renato Podestà. Powered by WordPress. Theme: Spacious by ThemeGrill.